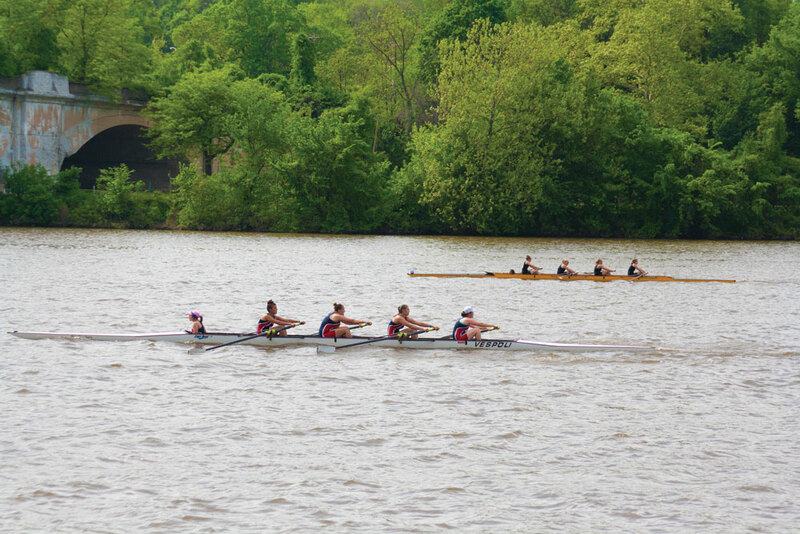 After battling leukemia for several years and undergoing double hip replacement surgery, Drexel freshman Kerry Walsh competed as a coxswain in the women’s varsity boat in the Aberdeen Dad Vail Regatta May 13. Paul Savell, head coach of the Drexel varsity men’s and women’s rowing team, asked Walsh to step in as coxswain for the women’s varsity eight boat only a couple of weeks before their last race of the season. While a freshman coxing a varsity boat was already unusual, Walsh thought she may have not be able to participate in sports at all. She was diagnosed with leukemia June 27, 2003, at the age of 11. While treatment went smoothly at first, she eventually developed typhlitis, a condition that causes the bowels to perforate, and was admitted to the hospital on Valentines Day 2004. Yet she was able to walk out of the hospital later that June, at which time she had to relearn how to walk. Unfortunately, her health trouble didn’t end there. In seventh grade, as a result of her steroid treatment for leukemia, she developed avascular necrosis, a condition casing a shortage of blood traveling to her bones. By May 2005, Walsh had a double hip replacement, which left her restricted to a wheelchair and crutches for a large portion of her eighth grade year. After finishing her leukemia treatment June 24, 2006, Walsh wanted to start high school as active as possible. Under Walsh’s coxing, the women’s varsity eight went on to take first place in the Petite Finals at the Dad Vail. Although Walsh was offered an athletic scholarship to Drexel, it was Drexel’s nursing program that convinced her to enroll. This June, Walsh and her family plan to celebrate her five-year anniversary of being declared cancer-free. Five years is typically considered the amount of time after finishing treatment that a person can officially be considered cured.